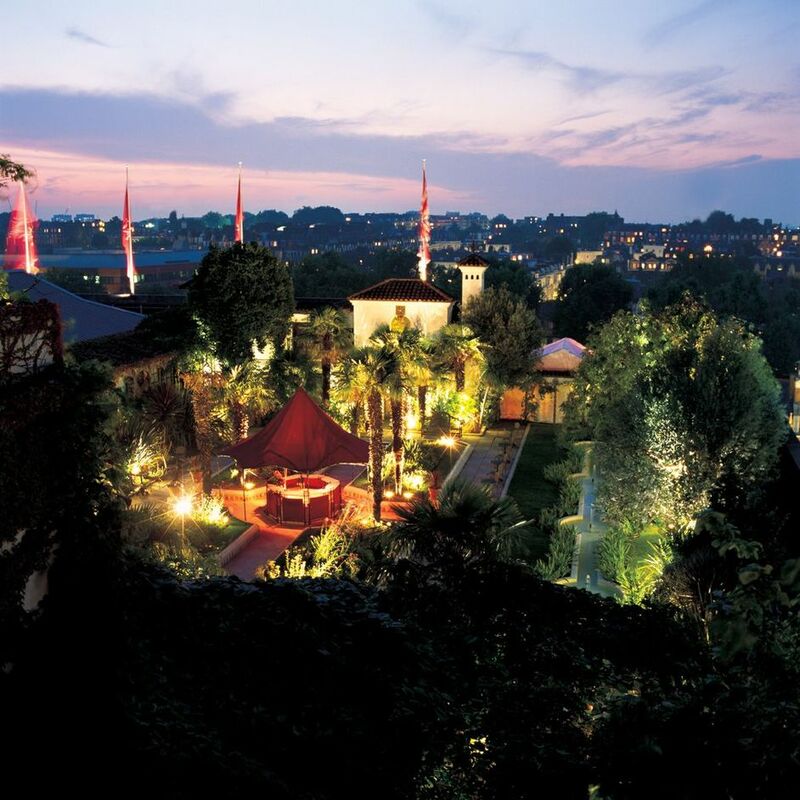 For movie fans who can't wait until May, Rooftop Film Club are hosting two advanced movie screenings at the spectacular Roof Gardens in Kensington on the 19th and 20th April 2015. Rooftop Film Club - the people behind the hugely successful Rooftop Film Club at the Queen of Hoxton and Bussey Building - are hosting screenings of Leonardo DiCaprio backpacker adventure movie 'The Beach' (Sunday 19th April) and romantic comedy 'Pretty Woman' on Monday 20th April. At £22, tickets are almost twice as expensive as the Hoxton and Peckham prices - but they do include a serving of fish and chips, or a burger or hot dog from the BBQ as well as the wonderful setting - with its Italianate gardens, mature trees, ducks and flamingoes it's certainly worth splashing out extra for. What are the best dining options near Rooftop Film Club at The Roof Gardens London? Rooftop Film Club at The Roof Gardens gyms, sporting activities, health & beauty and fitness. The best pubs near London Rooftop Film Club at The Roof Gardens. Rooftop Film Club at The Roof Gardens clubs, bars, cabaret nights, casinos and interesting nightlife. Where to have your meeting, conference, exhibition, private dining or training course near Rooftop Film Club at The Roof Gardens. From cheap budget places to stay to luxury 5 star suites see our special offers for The Roof Gardens hotels, including Baglioni Hotel London from 78% off.